The hospital group said about 170 of its 44,000 employees asked for a waiver from its flu shot requirement, and most requests were accepted "for meeting valid medical or religious exemption criteria." A hospital in Missouri is defending its flu shot policy after demonstrators gathered outside its facility to protest the reported firing of a nurse who refused to get the vaccine. Nelia Aubuchon, who organized the protest Tuesday outside of Mercy Hospital South in St. Louis, told the St. Louis Post-Dispatch that the unidentified nurse was allowed to skip getting the flu shot in the past when the facility was still St. Anthony’s Medical Center. When Mercy Hospital acquired the hospital earlier this year, it brought along its policy requiring all employees to get the flu shot. The only exceptions are for medical or religious reasons, but Aubuchon said the nurse who was reportedly terminated on Monday cited religion as a reason for her decision. “That’s the problem here, they declined the religious exemption,” Aubuchon said, telling the St. Louis Post-Dispatch she is friends with the nurse who was fired. A spokesman for the hospital declined to confirm whether a nurse had been recently terminated for not complying with the policy, but told NBC News in a statement that approximately 170 of its 44,000 employees had asked to be exempted from the flu shot rule. A majority of those requests were accepted "for meeting valid medical or religious exemption criteria", the spokesman said. "Those co-workers whose exemption requests were not accepted will be notified this week and, in accordance with our policy, will not be permitted to remain employed without receiving a vaccination," the spokesman said. The hospital said it revised its flu shot policy several years ago and requires employees to be vaccinated to protect patients, visitors and other hospital staff. "The point of our flu vaccination policy is simple: protection against the flu virus saves lives, especially those of our most vulnerable patients. 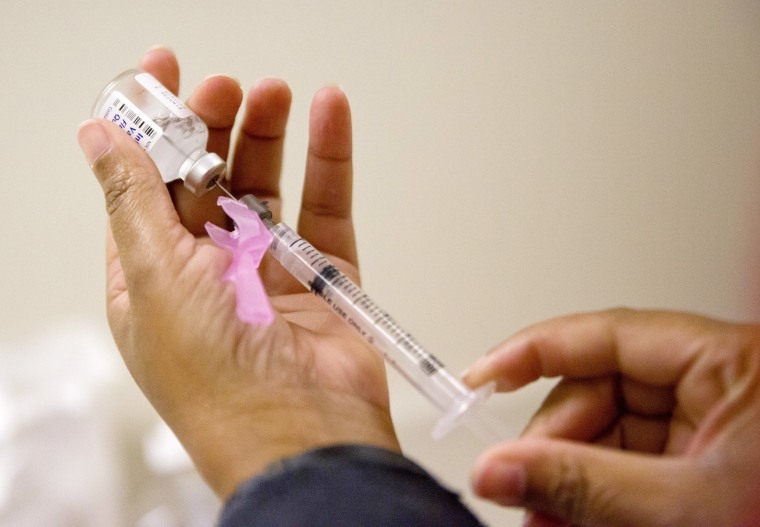 Requiring health care co-workers to be vaccinated for the flu is a best practice across the U.S. to ensure the safety of patients, co-workers and community members," the statement read.